Imamiya Ebisu-jinja Shrine, located in Naniwa-ku, Osaka, is known for “Ebessan” , the god of commerce. Tradition has it that when the prince Shotoku-taishi built Shitenno-ji, this shrine was also built for the purpose of warding off evil spirits believed to come from the west of the temple. 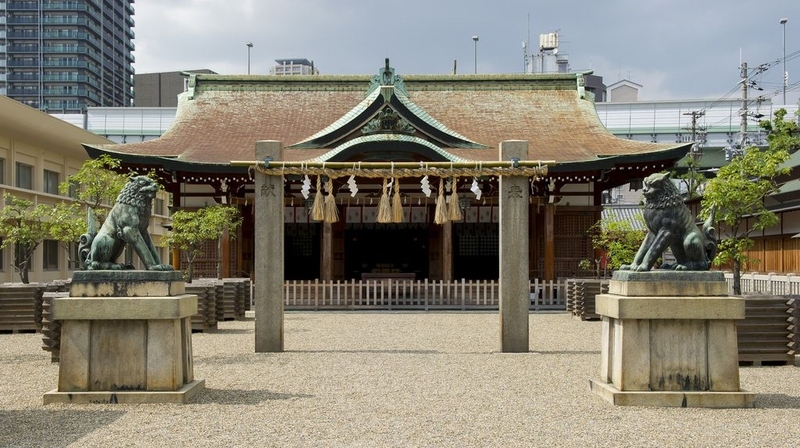 The shrine is sacred to deities such as Amaterasu-O-mikami (the sun goddess) and Kotoshironushi-no-mikoto. It was once venerated as the home to the god of fisheries, but with changing times came to be considered as the home of the god of commerce. The To-ka Ebisu Festival held on the 9th, 10th and 11th of January each year.It gathers more than a million “merchants” from business owners to company employees wishing for prosperous business.